It was my own fault. I mentioned in passing at a church gathering my desire to have chickens one day. I was after all living in God’s country, as the locals called it, and the endless fields and pastures all around awakened my inner country girl, inspiring me to get down and dirty with the land that was now becoming my home as well. Yes, chickens would be fun, I thought. I do recall mentioning my desire for a goat or two as well, but luckily all that made its way into the back of my car one early summer morning were six chirping chicks placed lovingly into a cardboard box waiting for me, their new mom, to take them home. There was, though, a slight problem. I didn’t have a home for them. I didn’t have the chance yet to build a coop nor did I have time to buy one, as this gift of chickens was indeed a surprise. There was no barn or shed or garage on my property either in which to settle these chicks into. It was then I understood my father’s insistence with each house I looked at to buy that it should have at least a garage. Oh well, nothing I can do now but to make the best with what I have. 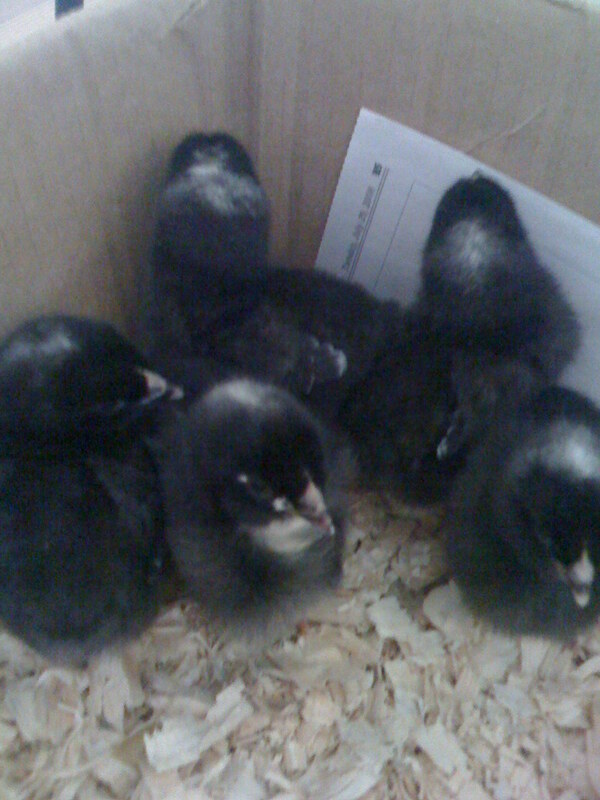 And so out came the box from the car and into the house the chicks went. 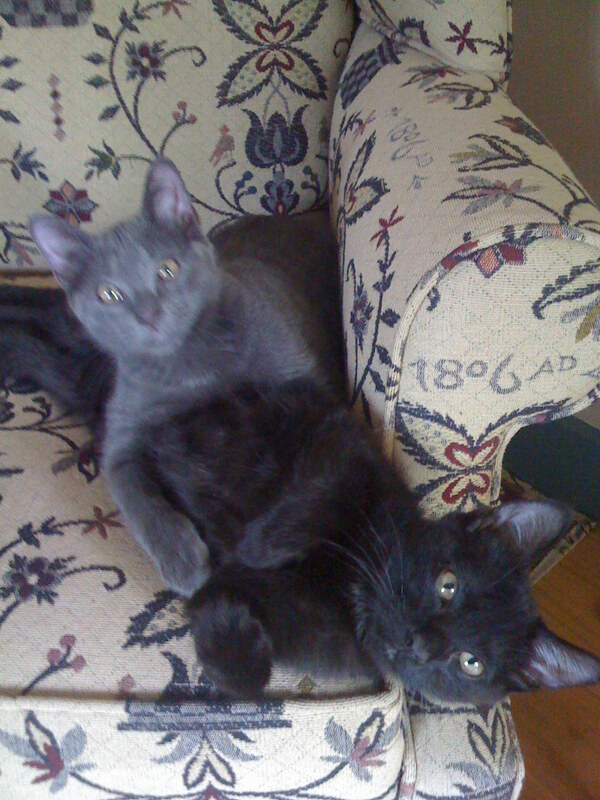 The two playful kittens in which the baby chicks had to be hidden from. Ah. The tiny bedroom upstairs that was now my makeshift office would work perfectly for the chicks. So up the stairs I ran, slamming the door behind me. I placed the box down on the floor and looked at these fuzzy balls of cuteness looking back at me. An overwhelming sense of responsibility washed over me. Their little lives were in my care. They cocked their heads to one side looking just as quizzically at me as I was looking at them. I wondered. Did they sense I had no idea what I was doing? Was fear gripping them just as much as it was gripping me? 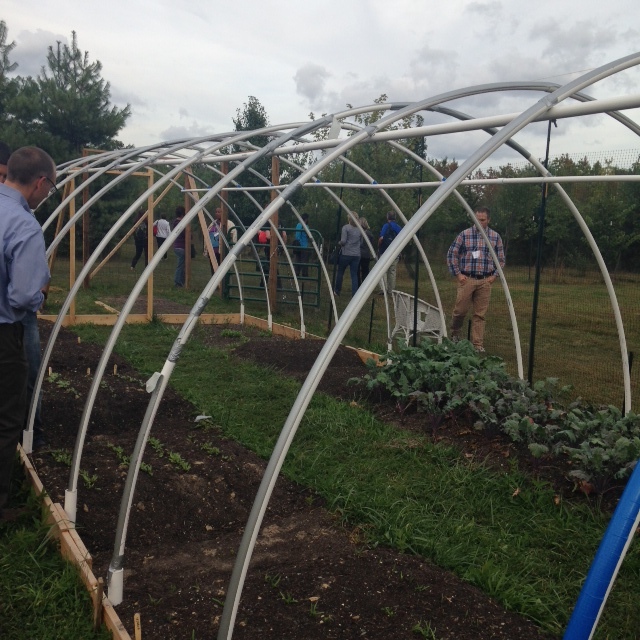 I had entered the uncharted territory of “farming” and I was clueless as to what to do next. “Just wait till I tell my parents about this,” I thought as I placed a window screen over the cardboard box and strung a heat lamp overhead to keep the chicks cozy. I then ran to the feed store and got my new children some dinner and a water feeder. It didn’t take long for everyone to settle down and settle in. I even invited the children of the church to name the chickens and each Sunday on the poster board with the title “Name Pastor Donna’s Chickens” names such as Barbeque, Abigail, Drumstick, Fuzzy and Spot (yes, Spot) appeared. The fuzzy chicks the children from church named. Weeks went by as I waited for the chicken coop to be delivered. Turns out I was part of a chicken farming trend and so there was a shortage of coops. But I didn’t mind. I found myself enjoying having chickens in my office. When I played the great old hymns of the church that were on my iPhone, they would gather together and move to the music. On days I would write my sermon, the chicks would stop what they were doing and sit quietly in their box as if to honor the silence needed for the creative juices to flow. And when I stopped the clicking of the computer keys, the chicks would begin chirping as if they were in some way trying to tell me what my next sentence should be. Then it happened. The powerful God moment I never expected. One afternoon as the sun streamed into my little makeshift office now turned bedroom for the chicks, I opened the Bible to begin studying the scripture for Sunday’s sermon. For some reason my eyes didn’t gravitate to the assigned reading. Rather my eyes went straight to the creation story. I never was a huge fan of Adam and Eve and the Garden of Eden. Don’t misunderstand. God’s creation story is beautiful. It’s just that it never really captured my imagination nor was it ever a story that resonated with me. It was, for me, one of those over told stories we love sharing with children and that was it. But this day as my chicks gathered to the corner of the box trying to get closer to where I was, something happened. The Lord God took the man and put him into the Garden of Eden to work it and take care of it…now the Lord God had formed out of the ground all the wild animals and all the birds in the sky. God brought them to the man to see what he would name them; and whatever the man called each living creature, that was its name. I reread the Genesis account again…and again…and again. It was then the responsibility I felt for caring for the chickens and making them safe in my office till the coop arrived, went beyond just simply making sure the chicks survived the eagerly waiting grips of my kittens. The care of these chickens was symbolizing a greater care that I never truly understood before—the care of all of God’s creatures. Sure I had pets to take care of while I was growing up. But this was different. There in my office was a cardboard box holding vulnerable chicks. There in my office was God’s word being lived out. I was having an Adam moment for I felt this humble awe that I was given such responsibility without even first having knowledge of what to do. Someone trusted me with these chicks. Someone knew I could do it. I could care for them. God trusted Adam as well with the care of creation. God knew Adam could do it. Of course we know about the snafu with the serpent and the apple in the Garden of Eden that was to come, but let us not lose sight of the beautiful friendship and partnership God initially called us into. It is the same friendship and partnership with God is always calling us into for God knows we can indeed be responsible, loving parents to all creatures here below. And yet how many times do we even give a chicken…a rabbit…a snake…a worm…any living creature…any thought or care? I looked at the chickens now looking at me. They were no longer looking at me in the same quizzical way I once looked at them. Instead, we were both looking at one another with awe, with love and with the knowledge of being connected to one another in a way we will never completely understand. Oh, but I can. And I did. And by doing so I experienced an Adam moment that will forever be with me. I experienced caring for God’s creation in the most unheard way ever. I had chickens in my office. The old girl sighed. Then sighed some more. I looked up from my laptop where I was working on my sermon and gave her a knowing look. She didn’t want to be stuck in a living room where the constant sound of cars, not crickets, kept her ears on constant alert. Nor did she want to feel the pull of a leash limiting her exploration of the great outdoors—that was, whenever she was allowed outdoors as there were now just one too many dogs in the neighborhood encroaching on her territory. She wanted the open pastures and the rolling hills she knew as a puppy. She wanted to feel the tickling of the breeze’s fingertips on her fur, the same breeze that tickled the corn stalks beyond our old Vermont house making them sway with delight. 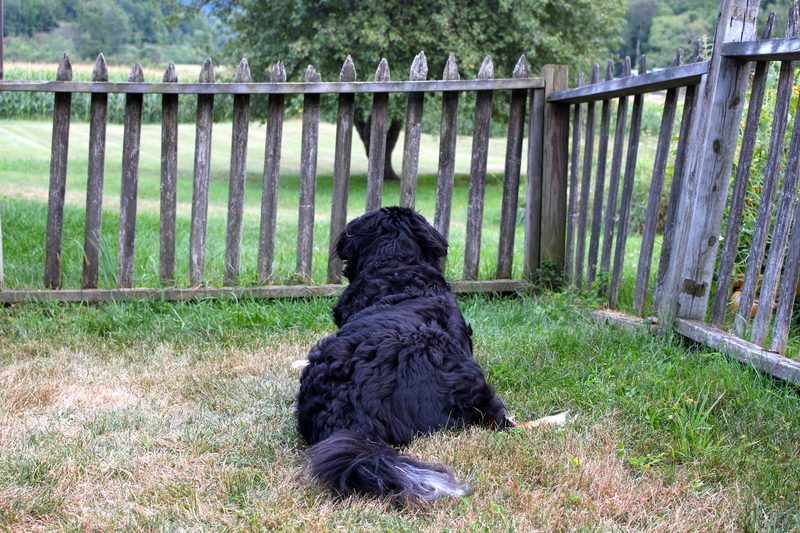 She wanted to keep watch from behind the safety of the weathered picket fence for the occasional deer who would peek its head out from the corn stalks to engage her in a game of who can stare at the other the longest. Sofie keeps watch of the deer in the cornfield behind the old weathered fence in her Vermont happy place. Sofie, my bumbling Bernese mountain dog who had now become my “old girl,” wanted the place where the heart sighs not with discontent, but sighs a sigh full of peaceful content. She wanted her happy place. The place we all have. The place we all long to be. The place unique to each one of us, for each one of us is uniquely made by God. I know a man whose happy place is found going out and about the country roads of Washington County in upstate New York in search of eagles, eagerly hoping to catch one of these majestic birds in flight with his camera. He can and does spend hours meandering dirt and forgotten roads to feel his heart fill with peace. Another woman I know has found her happy place among the rolling hills bordering on New York and Vermont where after many a dark night of the soul, coupled with ardent prayers for someone to share her life with, she is now celebrating her one-year wedding anniversary in the home-sweet-home she had longed for. She often shares moments from her happy place, posting the most glorious pictures of sunrises breaking through the dense fog and illuminating the beauty of the world as its rays reach higher and higher over the hills. I wonder if she sees in those pictures what I see? Her story of how God illuminated the dense fog in her life with the most beautiful hope hovering higher and higher in her heart. I thought of the happy place of a former magazine colleague who, when her heart let out a sigh of discontent, would steal away on a subway downtown to the tree-lined city blocks of Greenwich Village and lose herself in the beauty of the grand old brownstones. Back in my pre-pastor, editor days my happy place was walking down Fifth Avenue and gazing at the chic display windows of Bergdorf’s and Saks, thinking of how fantastic life would be lived in a particular designer outfit. I smile when I think of my former self. For now my heart sighs with peaceful content whenever I can slip into a pair of farm mucks and walk in the tall grass of the cow pastures to the top of the hill behind our Vermont house. There I simply sit in the quiet and the beauty of all God has blessed me with. And my heart? It sighs a peaceful sigh. Sofie let out another sigh. I stopped writing my sermon for I realized my old girl was in need of some pastoral care. I sat with her on the couch she had clumsily hoisted herself up on and wrapped the quilt I had just finished making gently around her. She had somehow claimed that quilt has her own. And that was fine with me. I hugged her and patted her head. Sofie’s happy place was now a six-hour drive away and not often visited due to my busy life as a pastor serving in Maryland. But as I petted her, I got to thinking. Our happy places don’t have to be within reach to make our hearts sigh with peaceful content. I remember some years back a woman telling me how well her elderly mother was settling into a nursing home. Stripped of all the belongings she loved, as they didn’t fit into the tiny room she was given, the elderly mother would always have a smile on her face. When asked why she always smiled, she revealed her secret. Whenever she felt a sigh of discontent coming on, she would close her eyes and remember the things she treasured. It was then she realized, while circumstances in life always bring change, nothing could ever take away joy. She discovered her happy place was always in her heart. All she had to do was close her eyes to visit. I wondered if Sofie understood what I was saying. Then it happened. She closed her eyes and as she did her tail started wagging joyfully back and forth. I swear I saw a smile grace her mouth. I smiled too. She was in her happy place. The place we all have. The place we all long to visit. The place where our sighs of discontent miraculously turn into sighs of peaceful content. My husband and I came home from grocery shopping and there in the entryway was a big bag of food—a plate of pumpkin cake, salad and chicken Parmesan. There wasn’t a note or a name attached to the bag so I wasn’t sure if this culinary treat was for us or perhaps for the new tenant who just moved upstairs in the two-family house we are currently renting in Maryland, where I am coming up on a year serving as pastor in what some local folks still describe as “rural Cecil County.” My husband always smiles when he hears this descriptive being applied to the area for “rural” is when chickens greet you on the front porch of the post office as they did every morning when I would get the mail in Vermont. Sad to say, there are no chickens clucking about at the post offices here in Cecil County. The thing is, while there still can be found rolling hills of corn, the occasionally cow or two dotting the landscape and every so often a barn sitting on an impressive stone foundation and painted white—not the New England red I am used to—reflecting the Germanic influence of the Amish who are just up the road from us in Lancaster, Pennsylvania, rural Cecil County is like many other areas in America—fast-becoming a victim of suburbanization with housing developments eating away at pastoral fields like some insatiable monster. And so as I peeked into the bag of food sitting in our hallway, wondering where it came from and whom it was for, I found this hospitable act of sharing food with others transporting me back to when I first moved to rural upstate New York as a still single and still somewhat citified girl who was just getting used to the “Reverend” now in front of my name. It was late November and, as I unpacked the moving boxes and found places for all my stuff in the sweet, yet very slanted 18th century saltbox I had purchased, a knock came from the front door. I pushed back outside the fall leaves that had blown inside through the gaping space at the bottom of the old door, and said hello to one of my new congregants. She was an older woman who came right in without hesitation, paying no heed to the leaves that blew into the house as if this wasn’t anything out of the ordinary and who proceeded to sit right down at the kitchen table to visit with me. I gave up my search and feebly offered a paltry glass of water, to which she gruffly declined and proceeded to get down to the business of her visit. In her hand was a gift for me. Real butter. Not margarine that she figured I was accustomed to being that I was from the “city” and all. “Up here, we eat real butter from the cows on our farms, we drink milk with our dinner and our syrup is real maple syrup, not that imitation stuff,” she informed me as I wondered whether the bottle of maple flavored syrup was still out on my kitchen counter in full view or safely hidden away from her keen eyes. In spite of my worry that she might find me out as one who liked fake maple syrup, her visit was a joy and she entertained me with all the rich history of her family in the area. As my day of settling in and unpacking progressed more knocks came and with those knocks came more gifts of food. Soon my primitive and narrow floor-length pantry—which boasted a secret door behind hit, which led to a very tiny space spacious enough for two small people, making my imagination race with excitement as I wondered if this little saltbox was perhaps part of the underground railroad, as a neighboring village in the area did have connections to this Civil War movement—was brimming with fresh farm eggs, real butter, real maple syrup, an assortment of homemade jams and jellies and the most delicious homemade oatmeal cookies I have ever tasted in my life. When I phoned my dad to tell him of the events of the day, I could tell he was not only happy for me, but he, too, was touched by the visits and the gifts of food which weren’t fancy or extravagant, but were filled with love and thoughtfulness. He then joked that I just might find a deer hanging from my tree one day. He was right in a way. The gifts of venison did indeed come, but much to my relief the gifts came in neat little packages ready for the freezer. But I was not done receiving gifts of food. The following morning as I looked out the window marveling at the beauty of the early morning frost, I noticed an aluminum-foiled loaf of something sitting on top of my mailbox. I threw on my shoes and sweater and ran to get it. It was a loaf of banana bread and it would be perfect for breakfast. Ooo…and I could warm it up and slather it with the real butter I had! The only problem was there was no note with it and, thus, I had no idea who it came from. It was a mystery and so I hesitated to eat it because I was always told you don’t eat anything in which you don’t know who it came from. The mystery of the banana bread continued for when I made a public thank you to my congregation on my first Sunday with them, no one fessed up to say the bread was from them. Later at coffee hour, a woman came up to me and assured me it was safe to eat as she thought it probably came from my neighbor down the road. “That is something I could see her doing,” she said with such certainty that when I got home from church I heated the bread and slathered on the butter (real butter, that is) and enjoyed the feeling of “fullness” from all the gifts of love and thoughtfulness that were sitting in my pantry. I shrugged my shoulders, as I wasn’t sure. Gifts of food didn’t seem to be as common in “rural” Cecil County as they were up north. Or so I thought. Just then a message alert dinged on my phone. I hope that you got the food I left for you. You weren’t home and I am worried that you might be out for a while. The food was for us! I hopped off the couch and ran to retrieve the goodies. The salad wasn’t salvageable, but the pumpkin cake and the chicken Parmesan were still good to eat. I’ve always known he wasn’t talking about actual bread to ease our hunger pains. But while I knew that intellectually, I had never fully known or understood in my heart what he was saying. Jesus was talking about the love, the thoughtfulness, the fellowship and the community that is experienced each time the bread, whatever that bread may be, is shared. For the gift of real butter is more than real butter. It’s a warm hug of welcome. Real maple syrup is more than real maple syrup. It’s a smile saying I am glad you are in my life. A mystery loaf of banana bread is more than a mystery loaf of banana bread. It’s the acknowledgement that strangers are now neighbors who watch out for one another and care for one another. And the bag in which held a surprise dinner in it, is more than just a surprise dinner. It’s a reminder we are all connected to one another and we all need to be nourished, both physically and spiritually. We all need the bread of life in our lives. May today the loaves of love and thoughtfulness and community in your life be blessed and broken and shared. Fourteen years ago today my world changed. Your world changed. The world changed. Period. The sense of safety and security we had was ripped from us when terrorism struck the Twin Towers in Manhattan, forever changing not only the iconic landscape I grew up with, but forever changing the landscape of our hearts, shattering the beauty of trust and serenity and leaving behind a gaping hole of sorrow and fear. I realized today that no matter how many years go by, I will always find myself waking up on the morning of September 11 with a tear—or two, or three, or four, or a hundred—falling from my eyes. I don’t think there is anyone who doesn’t pause and reflect on this day. I don’t think there is anyone who doesn’t stop, even for second, to recall where they were and what they were doing when they heard the news. I was still living in mid-town Manhattan and life was already in the process of changing for me as just a few months earlier I had lost my boyfriend in a jeep accident in Africa. My heart already had a gaping hole in it. I no longer held my top editor’s position at the magazine in which in a way I grew up in, having joined when I was only 23 and spent a good decade at. I was now a freelance writer taking uncertain, scary steps into ministry. It was those steps that led me out of Manhattan early that dreaded morning to attend a clergy meeting in New Jersey at an American Baptist Church in which I was now working in as part of my exploration to see if God was indeed calling me into ministry. As the meeting began, one cell phone went off. Then another. And another. And yet another. It was as if the room broke out into an ominous symphony of phones, playing a tune of impending doom. Something was clearly wrong. All the ministers quickly dispersed back to their churches to assess what was going on. When my minister and I arrived at our respective church, we were greeted by a sobbing secretary filling us in on the latest news. It was then my legs felt as if they were going to collapse underneath me and a wave of terror washed over me. I felt so vulnerable that it was frightening. I have never felt a moment like that before nor do I care to ever feel that again. Suddenly I got mad at myself for here I was standing in a church, preparing to enter ministry, where was my faith? Where was the knowledge that no matter what happens around us, we are all held safe and secure from all alarm (as that great hymn, “Leaning on the Everlasting Arms” reminds us)? Yes, we all have stories of where we were that morning of September 11. But today, on this 14th anniversary, I find myself thinking of where we are now. I find myself reflecting on how that day, so horrific that I don’t think I will ever comprehend it, has changed not just the world, but also each one of us. I think of a dear woman in my former congregation in rural Upstate New York who lived and worked just blocks from the Trade Center. Every year at this time she would share her story with me, a fellow Manhattanite, who traded in the bright lights of the big city for rural America. As we sat together in her chic living room filled to the brim with books that spoke of her previous life as a lawyer, of a lover of fine art, of a wanna-be master gardener and cook (which she had become as her flowers she grew were beautiful and the extra food she would make and give to me, a newbie pastor who had the reputation of serving the kids at church raw chicken nuggets due to my own ignorance in the kitchen, easily put ten pounds on me! ), she would speak of the smoke that stung her eyes, filled her lungs and made her apartment unlivable. She would relay all the emotions still so raw. I wouldn’t say a word in reply. There was no need to. For I understood and she knew I understood. I would just join her in a smile that held in its curve both gratitude and sorrow. Out of tragedy and despair and the darkest moment in life, this is how we got here to the place where we both found our hearts healing. God led her to finally take that step of faith to buy a farmhouse up north in need of some tender loving care. But I think it was the farmhouse that gave the tender loving care to a woman who needed to be restored. Out of tragedy is hope. Always. Hope might not seem to be there at that moment, but it is. We just need to always hold on to the promises of God, that no matter what happens we are held safe and securely. God seeks to restore what is lost and to rebuild what has been shattered. May this September 11 be a day to not only reflect and remember what was and what happened, but to smile a smile that in its curve holds gratitude and sorrow together and give thanks for the promise of a hope that never fails. I think back to the ribbons my mom used to put in my braids and the fun I had getting to wear my new dresses. (Breaking in my new school shoes wasn’t too much fun!) I can remember the wonderful smell of molasses cookies greeting me as I opened my metal lunch box to get out my snack and my little thermos holding my milk, hopefully it would be chocolate, which I always preferred. And I can remember running home from school eager to tell my mom everything that happened during my day. I don’t ever recall getting sentimental about this day as I do now and I wonder why that is? Why do I feel the same excitement, the same fear and the same butterflies in my stomach that many children are feeling as well? Why do I have this sudden interest in buying new pens and notebooks? What is it about this day that brings adults, who have been out of school for many years, back to being a child again? As I sit here with memories of hair ribbons, metal lunch boxes, new pencils and notebooks going through my mind, I realize the excitement I am feeling is more about all the possibilities God is presenting me right now with this new school year that has begun today. What is it I want to do? What is it that I want to accomplish? How is it that I can continue growing into the person God wants me to be? As I dream and then plan and then make my schedule for this day of learning, I do it knowing that God holds the ultimate lesson plan in his hands. Instruct me, Lord, and show me your truths and the path you want me on. Yes, school is back in session. For all of us, no matter what age we are. Today is the day for us all to realize that no matter how much we think we know, there is still so much more to learn. It’s been a crazy couple of weeks since coming back from some time away at the little old house in Vermont that my husband and I still call home, even though I am now serving as a pastor just a tad bit below the Mason Dixon line. Committee meetings at church have taken up most of my nights as plans for worship, missions and church school get underway for this “pumpkin-flavored” season we are in. For the most part these meetings have been energizing, with new ways of serving and reaching others being added into the mix of the good old, tried and true ways of how we do church. But as I sip my pumpkin flavored cappuccino, I can’t shake this feeling that God is asking something more of us. Not in the way of more innovative ideas, creative outreach programs or busy work. Rather more of being present to God in the way of praying rather than planning and listening rather than speaking and being rather than always doing. I was taken aback for I knew exactly what he was talking about. In the blessed stillness of my time recently spent in Vermont, where the satellite TV has been disconnected as I am not up there enough to justify the monthly cost, and the wireless Internet service put on hold for the same reason, and where the bars on my cell phone are non-existent, I found my steps getting back in sync with God’s. The holy rhythm of life gave back an energy that no amount of caffeine could ever give. The silent communion of my heart with God’s that I had while sitting on the top of the hill that makes up our five acres, with the choir of birds singing a choral benediction closing out my prayer time, filled me with ideas and God possibilities. And the brilliance of the starlit sky, not dimmed by man’s need to have artificial light to illumine the darkness, reminded me once again that God’s light is the most beautiful light ever in our lives. The TV is back on. The Internet is also connected. The cell phone has many bars so that calls can get through. And the brilliance of that starlit sky I marveled at a few weeks ago? After a long meeting last night I came home and paused on the porch before going inside and found what I had expected to find. I looked up at the sky and the stars weren’t as bright as I had hoped. What human ingenuity thought was a good idea had actually washed away the brilliance of God’s creation. God is asking more of us. Not more in terms of what we can do or produce, but more of our hearts and our trust and our devotion and our love. For we, too, have a “for a limited time only” label on us, so why don’t we savor the time we have and really get our steps in sync with God’s.